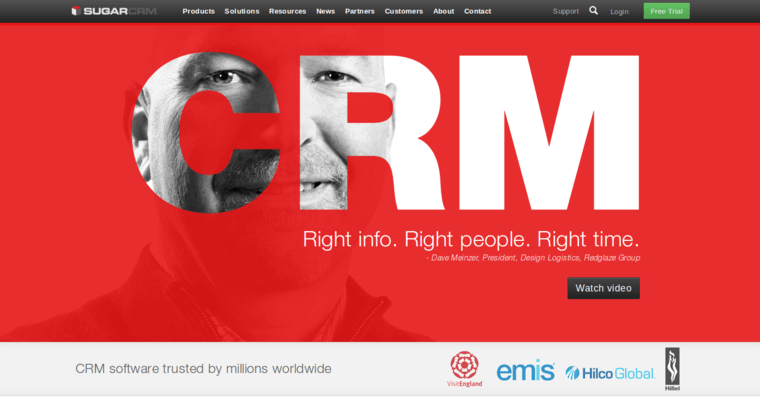 The best enterprise CRM software on the modern market is Sugar CRM, a popular customer relationship management program that is trusted by the likes of computer giant IBM, smartphone authority HTC, and high-end global manufacturer of automobiles Audi. Sugar CRM brings a simple sales funnel to the table so that you and your employees can keep an eye on where exactly your customers are in the marketing process. Reports and other valuable documents are created automatically by Sugar CRM so that your employees don't have to feel bogged down by monotonous work that computers can more easily take care of. 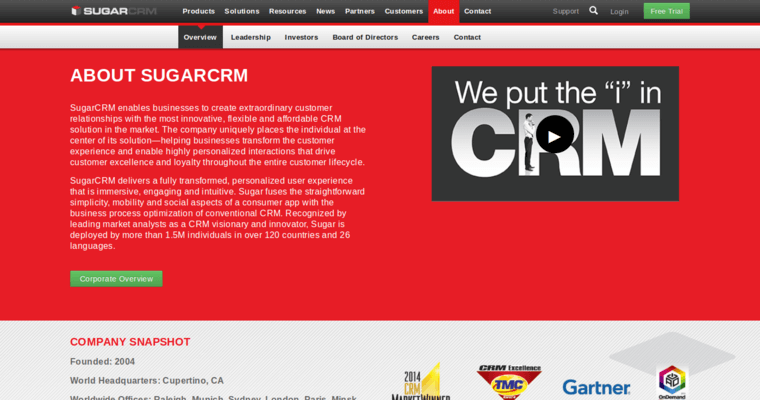 This leading enterprise customer relationship management software is widely said to be as functional as all others, if not more functional than them, though it has a unique pledge to never unnecessarily complicate the functions and features that Sugar CRM brings to the table. 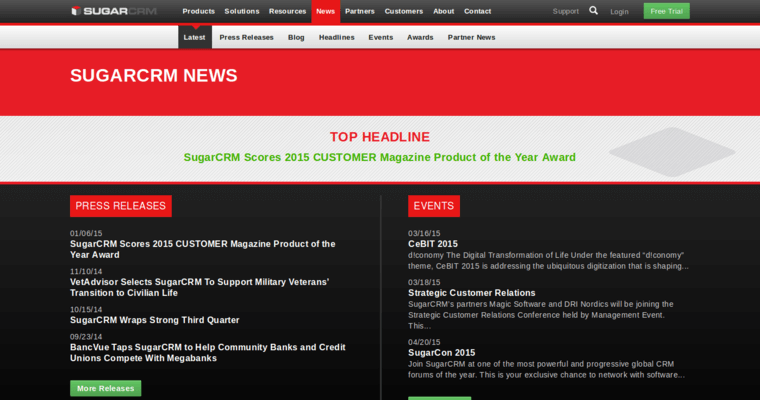 Sennheiser, Materion, and Puente Hermanos are among Sugar CRM's other most popular clients.